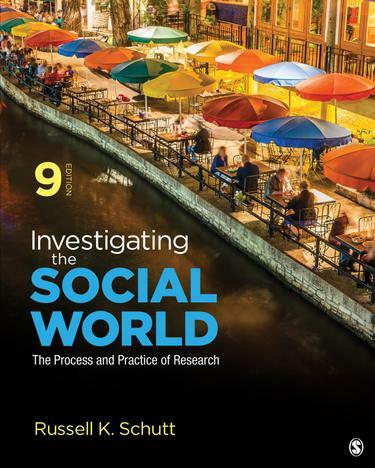 In this Ninth Edition, award-winning author Russell K. Schutt continues to make the field come alive with current, compelling examples of high quality research and the latest innovations in research methodology, along with a clear and comprehensive introduction to the logic and techniques of social science research. The latest advances in research methods are woven into the text from over 90 new research articles and books, covering topic like guidelines for writing research questions; distinguishing conceptual frameworks; techniques of video ethnography; abductive analysis; the value of systematic literature reviews and new human subjects rules; concerns about replicability and publication bias; and the rise of predatory journals. The rapidly increasing role of the Internet in both social relations and social research is reflected in new sections on systematic literature reviews, advances in online survey methods, geodata, digital ethnography, web experiments, online qualitative research, and new sources of big data. Current examples using research on pressing social issues such as inequality, healthcare, and police behavior offer students illustrate how social research contributes to understanding issues that are in the news and shaping their world.